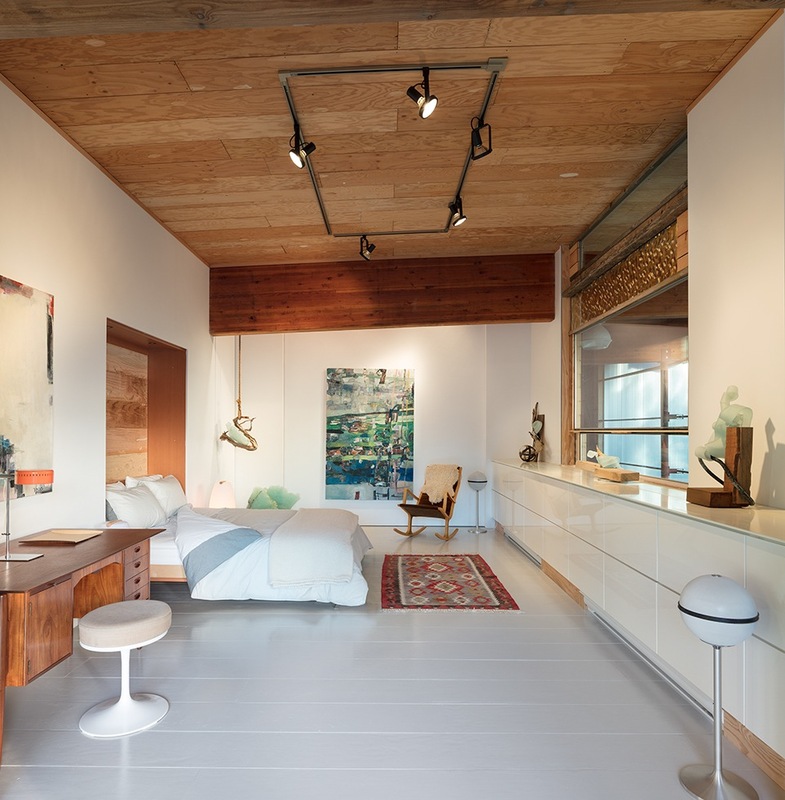 Beth hosts a sophisticated airbnb called THE ART LOFT. The loft is open, bright and original. 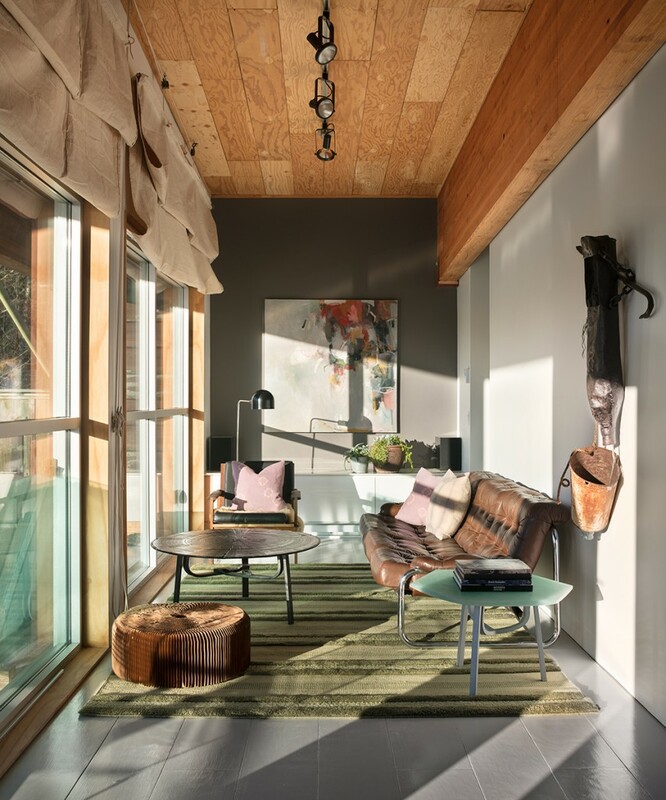 References of modern, country, industrial and nature blend throughout the space. 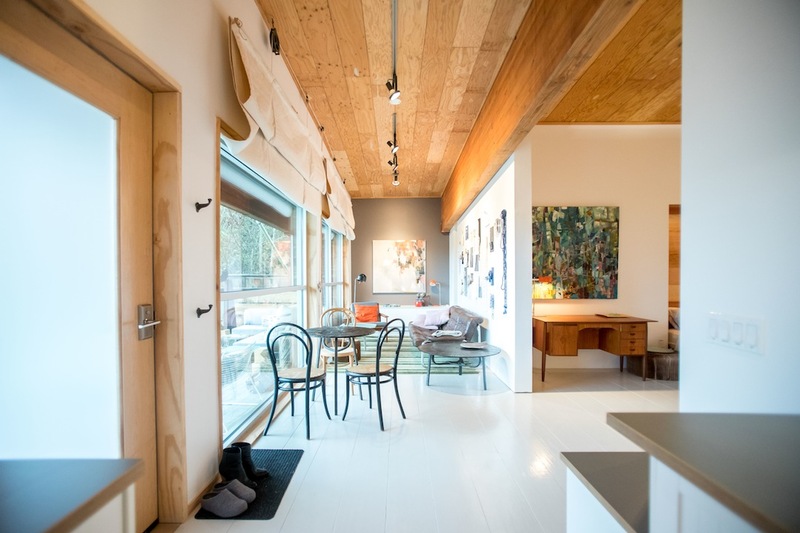 Large windows look out to nature, while internal windows offer private views overlooking the art studio of partner and artist Robert Studer. It is your perfect getaway from a busy urban life. 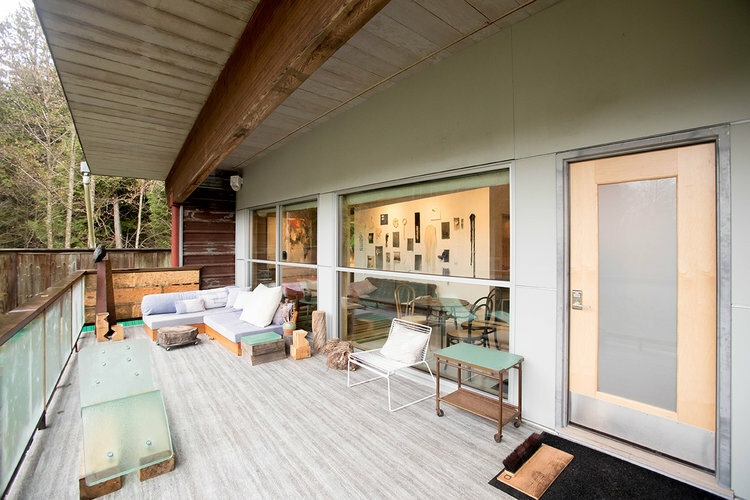 The ART LOFT is located on 5 country acres and 2 kilometers from the village of Roberts Creek. Walk in pristine forests and relax on secluded beaches. It is perfect for two. My wife and I LOVED staying at Robert’s and Beth’s loft. It was an incredibly beautiful, inspiring space both inside and outside. Robert and Beth are extremely sweet and accommodating. Highly, highly recommend staying with them! Our stay at Beth and Rob’s Art Loft is by far our most favourite Airbnb experience thus far! We couldn’t be happier with the location, the beauty of the space, Beth and Rob’s warm welcome and helpful travel tips…The list goes on! Would highly recommend spending a few nights here and soaking it all in. An excellent spot to explore everything the Sunshine Coast has offer.